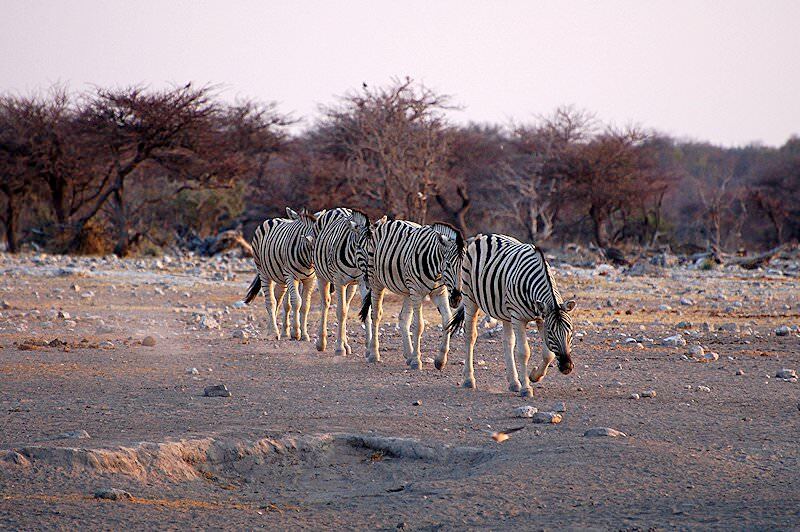 The wilderness of Etosha National Park in Namibia is one of the most unique safari areas on the African continent. Once you’ve arrived in Johannesburg and have cleared customs and immigration, you’ll find a representative from African Sky waiting for you as you enter the arrivals hall. Once formalities are completed you’ll then be escorted to the appropriate departure terminal where you’ll be assisted in boarding a regional flight to Windhoek in Namibia. 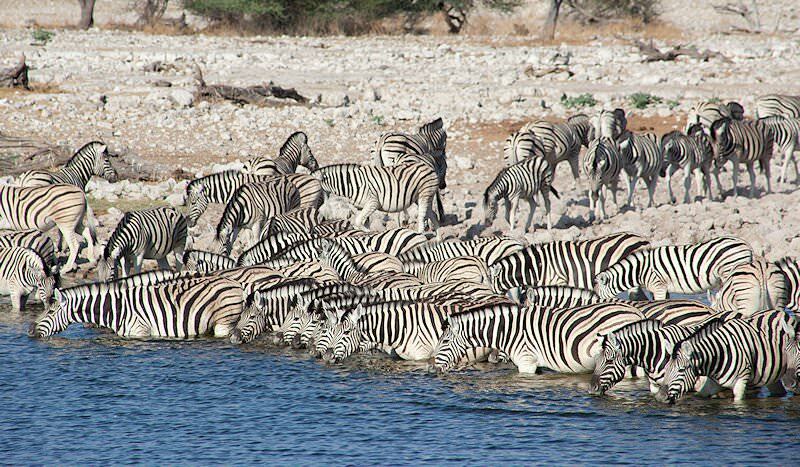 On arrival, you’ll be met and assisted in boarding a charter flight to Etosha National Park in the northern part of the country. Etosha is a place of contrast, taking on a different complexion after heavy summer rains and attracting one of the most impressive flamingo migrations one is likely to see. 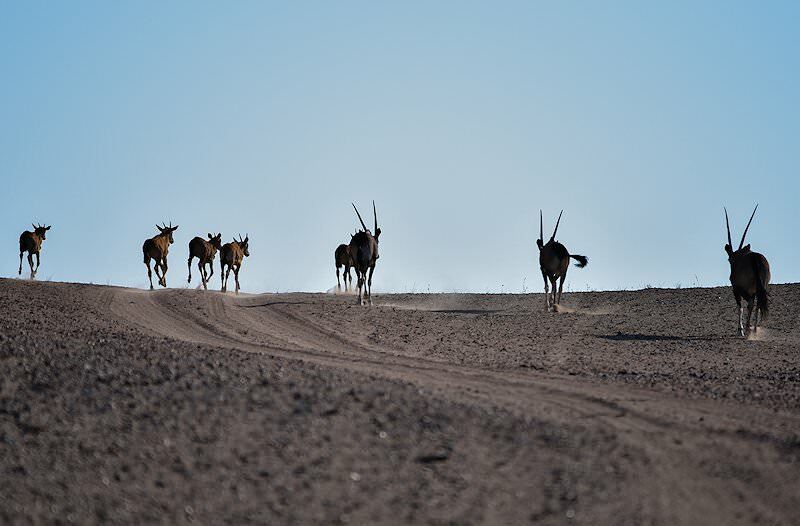 The dry brittle vegetation turns a soft green, the animal calving season begins and for a few months the flat landscape that the Ovambo call the ‘place of great white spaces’, sheds its arid image. 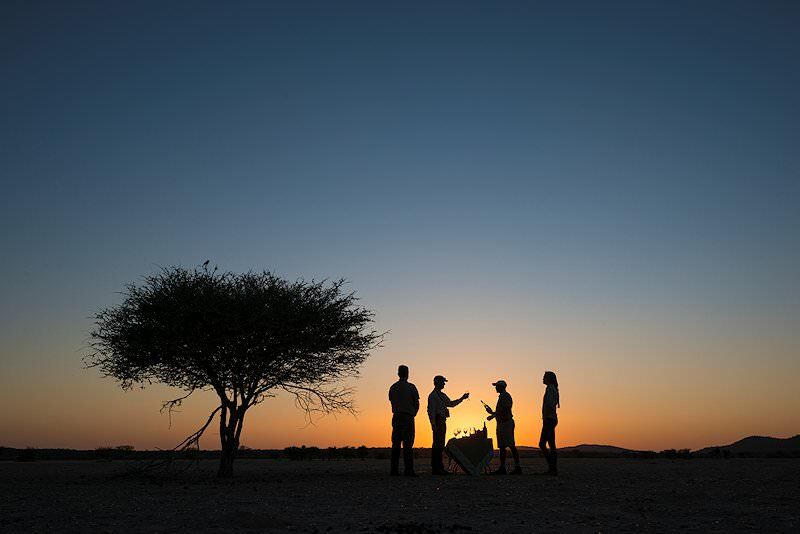 The late afternoon is devoted to a first open 4x4 safari in Etosha accompanied by an experienced ranger and tracker. 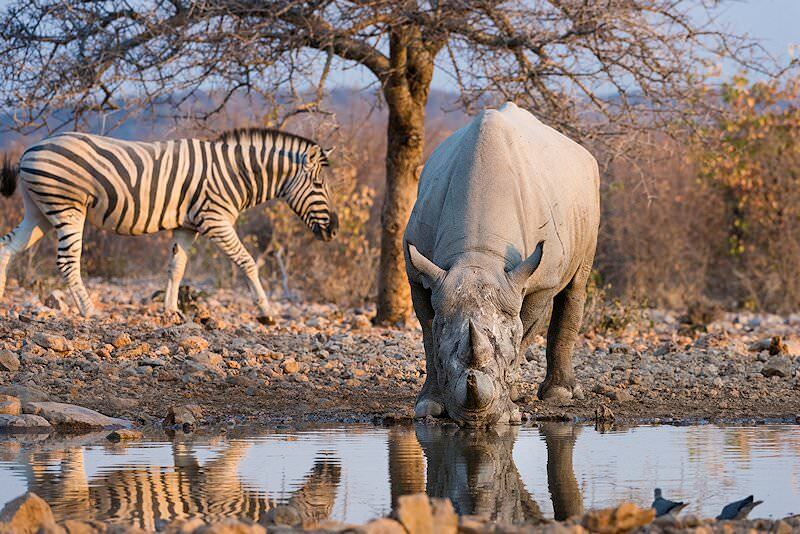 You’ll enjoy daily game drives for the duration of your stay at Ongava. 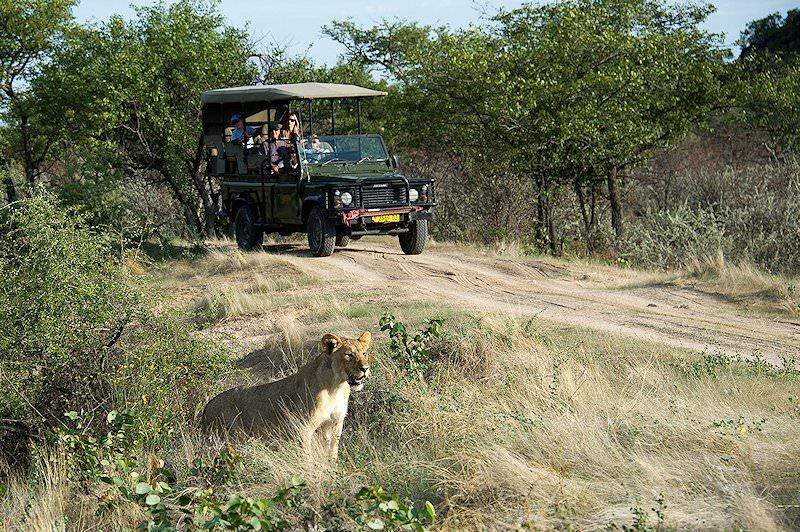 Game drives take place during periods of increased activity, during the early morning and late afternoon. The remainder of your day may be spent enjoying the creature comforts of your luxurious accommodations. 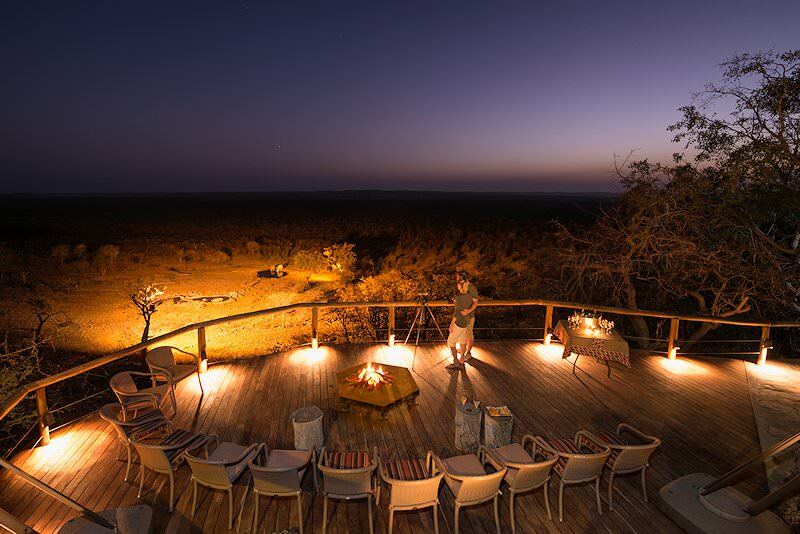 Ongava is a private concession just outside the Etosha National Park, Namibia's top game viewing destination and one of Africa's premier game reserves. 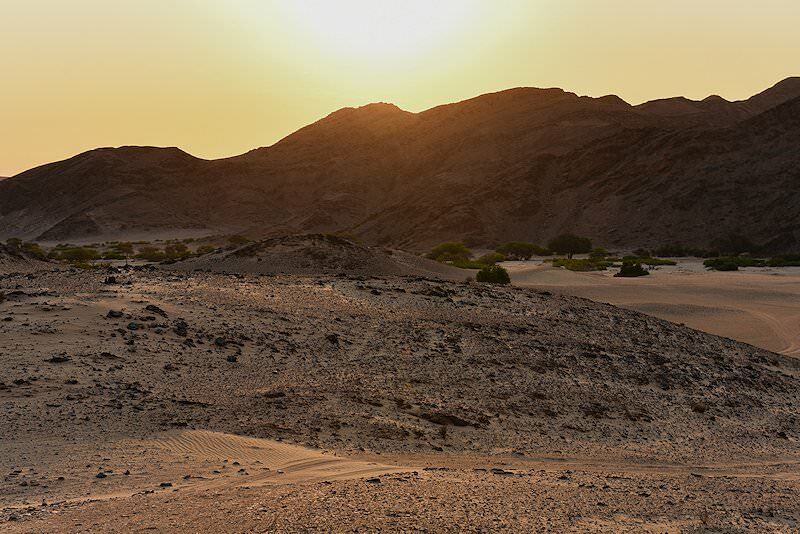 In 1907 when it became a protected area it was an incredible 9,952,600 hectares in size, the largest conservation area in the world. 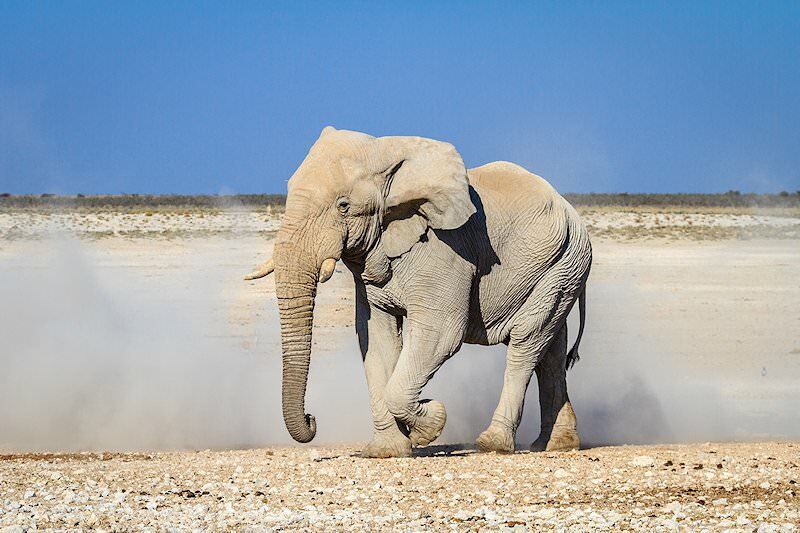 In 1967 it was reduced to a manageable 2,227,000 hectares and became known as Etosha National Park, one of the world’s most fascinating natural sanctuaries. Almost entirely devoid of vegetation, the centerpiece of the park - the great pan, shimmers in the noonday sun, mirages inverting distant images. 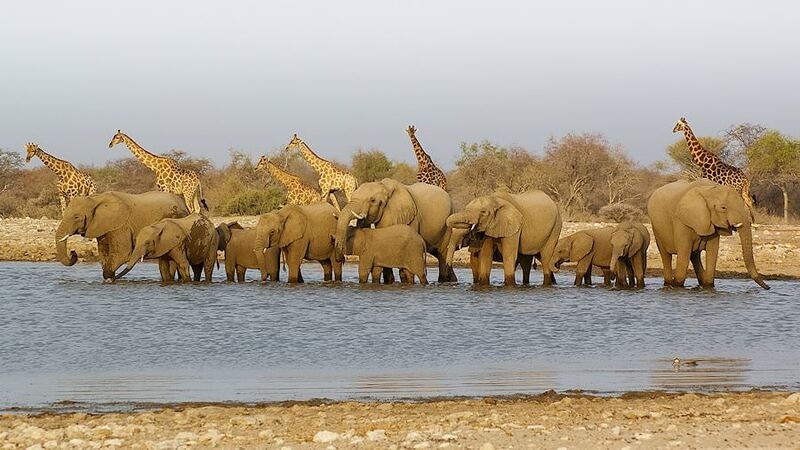 Wildlife congregates along its edges, where a string of waterholes create a stage attracting a constantly changing cast of players. The sheer numbers are astounding. 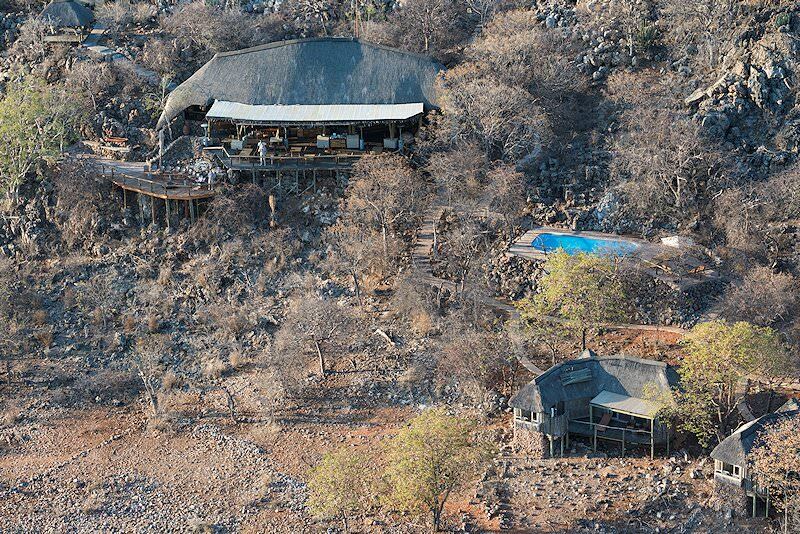 A last morning game drive is followed by a flight to Windhoek and from there an onward connection to Johannesburg. Guests will be met on arrival at O.R. 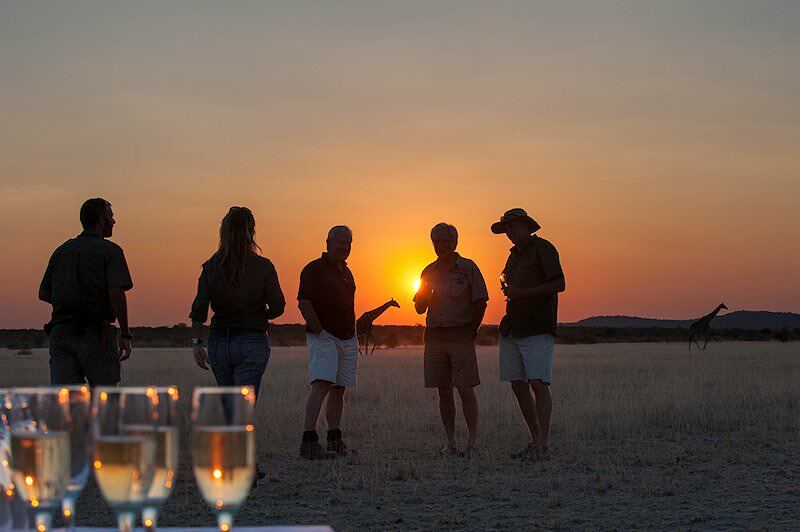 Tambo International and transferred to any location of their choice in either Johannesburg or Pretoria after an unforgettable Etosha safari. 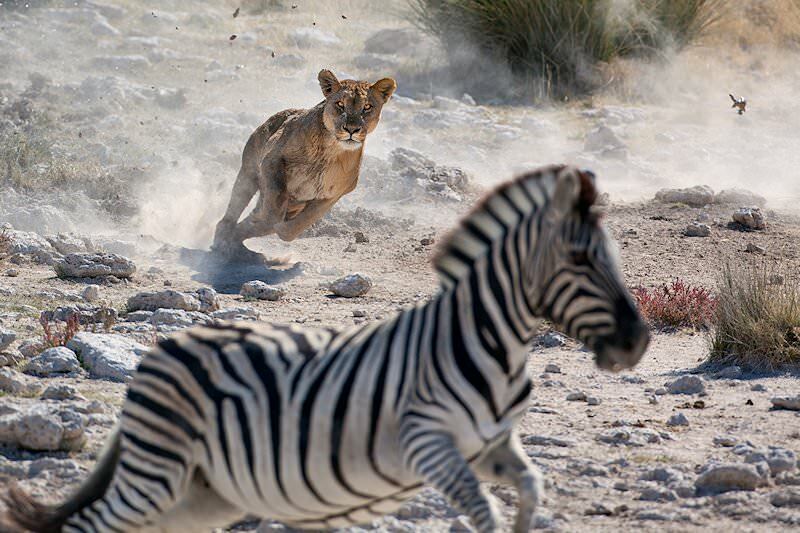 Our South African safaris are our most popular and offer the best value. Botswana's wilderness areas are remarkably pristine, like the Okavango Delta. 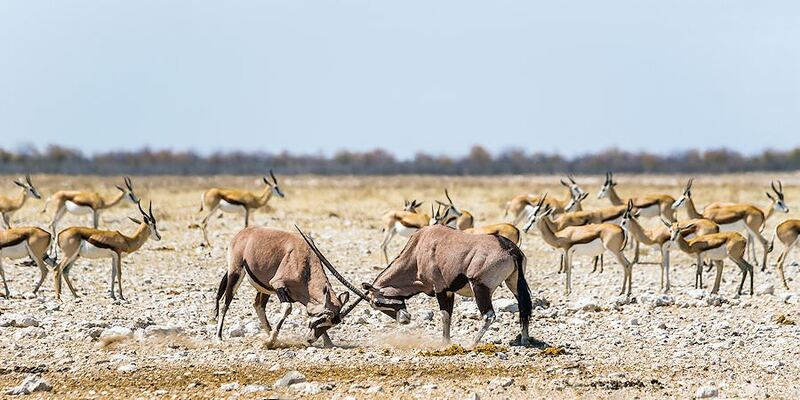 Namibia's top safari destination is the arid yet surprisingly wildlife-rich Etosha. Zambia - and South Luangwa in particular - is the birthplace of the original walking safari. Zimbabwe's heart-stopping perspective of the Victoria Falls is unforgettable. Mozambique safaris comprise leisurely hours on the beach or in the Indian Ocean. 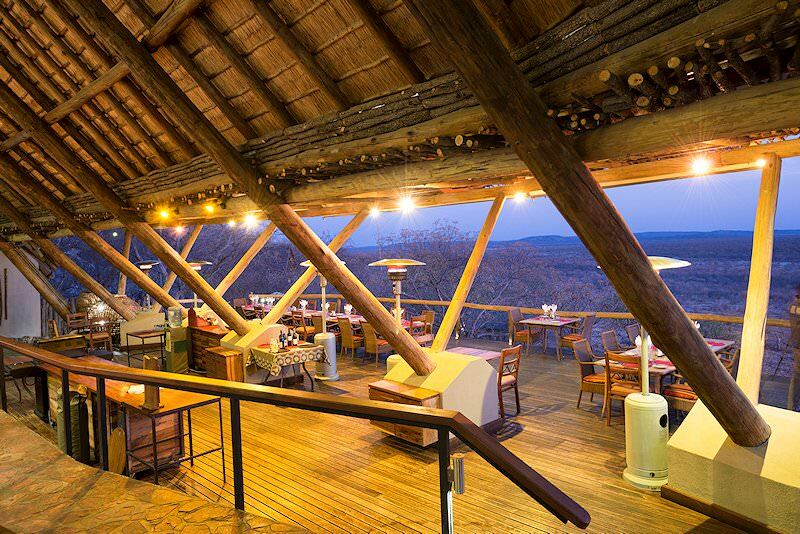 The Kruger National Park's unmatched diversity makes it one of the continent's most sought-after safari destinations. 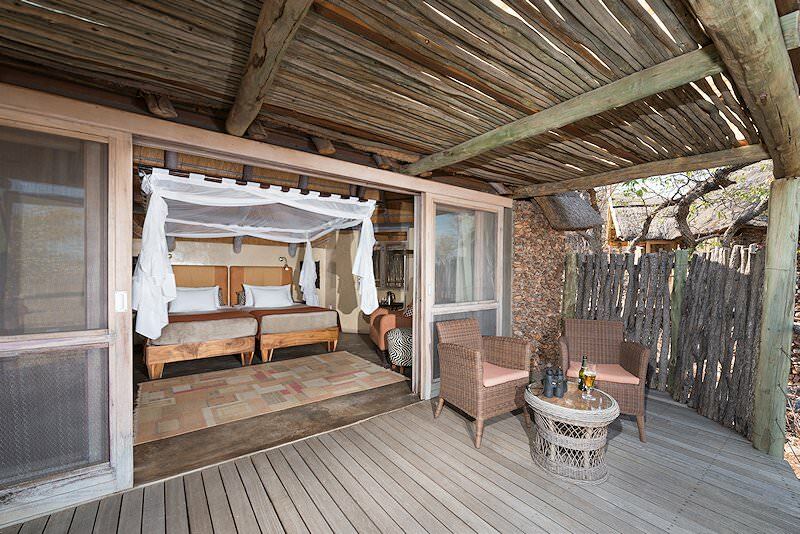 Our luxury safaris will take you from the arid wilderness of Etosha to the lush beauty of the Okavango Delta, all the while including plush lodgings. 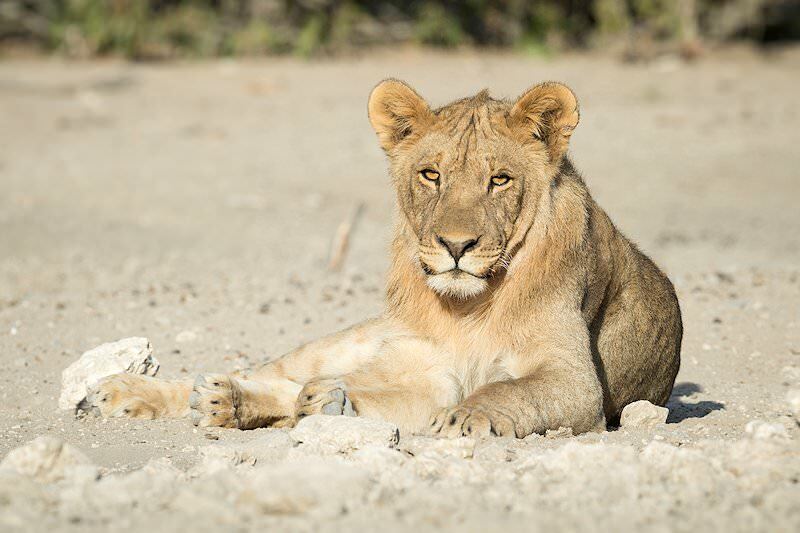 The Big Five inspire awe from all who encounter them on safari, making them the most in-demand species on any visitor's list. 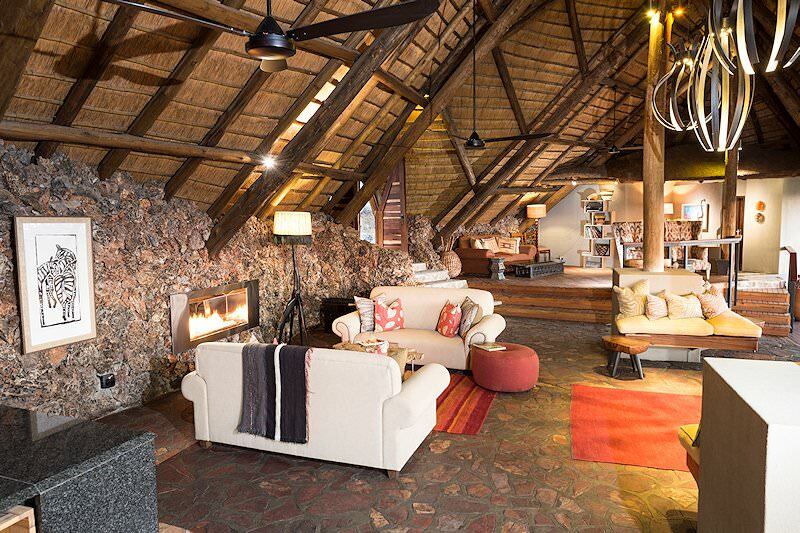 The African lodges in our itineraries include illustrious names like Londolozi, Lion Sands, Singita and andBeyond.